When you’re relaxed and at peace, when things are sweet between you and God, (currently not just fundamentally), you tend to notice things. This is because the spaces that you need in order to hear, and the discipline that you need in order to listen, are too-often rammed with the traffic fumes of anxiety and fear, idleness and unbelief. I was with Mairi walking through a small Scottish village on the Eastern coast of the UK a few hours before Christmas last year, passing through plumes of our own breath and treading the seasonal crispness under foot. It had been a stressful end to a stressful year and we were easing in to a couple of weeks away from the front line. Today is the 499th anniversary of the Reformation. This means that 500 years ago today it was the one year run-up to the defining moment in modern (church) history when Martin Luther would nail his 95 theses to the front door of Castle Church and All Saints’ Church in Wittenberg. 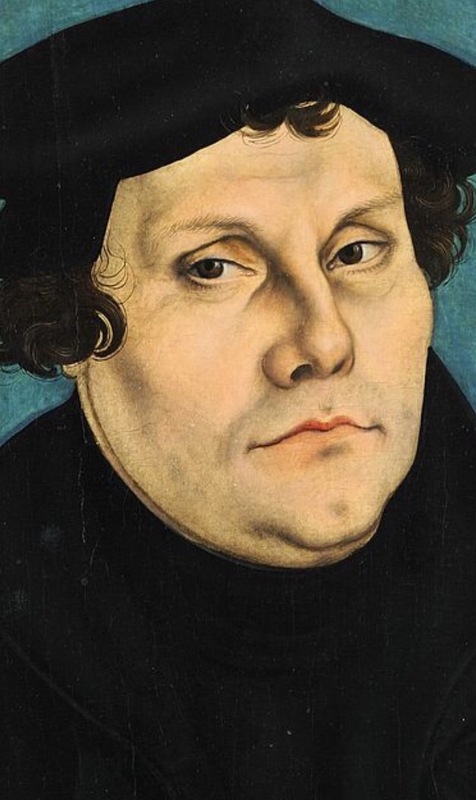 Luther’s theses opposed the abusive practices of ‘preachers’ & ‘leaders’ who twisted the Bible, often to their own financial gain, via indulgences, rather than faithfully preaching the only doctrine at the centre of true biblical, Christian faith – the justification of grace by faith alone – Sola fide. (If you’re looking for further reading on Martin Luther, I can recommend this book by Scott Hendrix as an accessible option). Next year, when the 31st October 2017 marks the 500th anniversary of something so profoundly important for all of us, can you imagine the excitement and the celebration and the stories that’ll be told?